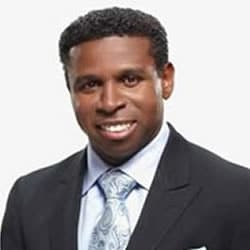 Renowned as one of pro football's most electrifying players, Toronto Argonauts running back Michael "Pinball" Clemons was the CFL's all-time all purpose yardage leader. However, it is his exceptional character, in addition to his outstanding athletic ability, which has made him the remarkable fan favourite he is throughout Canada. Pinball's tireless community involvement and participation in countless charitable causes exemplify the qualities he possesses, which are so rarely found in today's professional athletes. He has used his superb leadership and communication skills in his former roles of Coach and President of the Toronto Argonauts - and now as the CEO of the franchise. In September 2008, Clemons was inducted into the Canadian Football Hall of Fame. Born and raised in Florida, he received a degree in Economics from William and Mary, then began his career in the CFL in 1989 after a brief stint in the National Football League. As a player, Clemons brilliant CFL career with the Toronto Argonauts included a pro-football record for most career combined yards with 25,396. In 2000, Pinball hung up his jersey after 12 seasons to move directly into the position of Head Coach. He retired with 12 all-time team records to his credit. Pinball's presentations are at once captivating and empowering, and clearly demonstrate the capabilities of teamwork. At only 5 foot 6 inches and 170 pounds, he also inspires his audiences by illustrating what is possible and what it means to beat the odds. Michael Clemons communicates his heartfelt stories with a passionate spirit and his patented, contagious smile. Organizations respond to his presentations with rave reviews and overwhelming enthusiasm. Mike Clemons' football career was characterized by incredible perseverence and great skill. At only 5'6" and 170 pounds, he won against all odds. He succeeded while others predicted failure, gave more when less would have been satisfactory. Michael is an athlete with true character, an incredibly generous spirit and a quiet dignity that shines on and off the field. Michael tells how his upbringing has shaped him, how his steadfast faith has always guided him, and how his commitment to his team and his community is much more than just a professional veneer, but a deeply held feeling of true spirit and belonging. Toronto Argonauts former coach and player Michael 'Pinball' Clemons is a man of unquestionable character and spirit. Not only is he renowned for his achievements on the football field, Pinball's aptitude for motivational speaking is undeniable. His presentations are at once captivating and empowering. He exemplifies the capabilities of teamwork and leadership while demonstrating what it means to beat the odds. At only 5 feet 6 inches and 170 pounds, Clemons also inspires his audiences by illustrating what is possible and what it means to beat the odds. Pinball communicates his heartfelt stories with a passionate spirit and his patented, contagious smile. Organizations respond to his presentations with rave reviews and overwhelming enthusiasm. "Thanks for the opportunity to have Mike Clemons come and speak to our team. He was simply amazing! I knew he would be a very inspirational speaker to have join us for this meeting and I am so pleased he was able to help us out." Hoffmann - La Roche Ltd.
Pinball’s presentations are at once captivating and empowering, and clearly demonstrate the capabilities of teamwork. At only 5 foot 6 inches and 170 pounds, he also inspires his audiences by illustrating what is possible and what it means to beat the odds. Michael Clemons communicates his heartfelt stories with a passionate spirit and his patented, contagious smile. Organizations respond to his presentations with rave reviews and overwhelming enthusiasm.